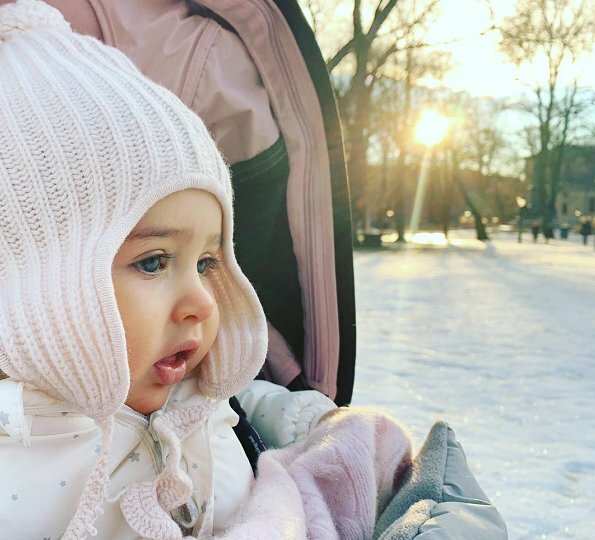 Today, Princess Madeleine shared on her Instagram account a photo of Princess Adrienne with the title "The best thing that happened to me 2018, Adrienne!". Hello our followers. We left behind one more year. Thank you for reading that blog in 2018. We hope your 2018 was very well and wish that 2019 will be better for you. We wish a safe, happy, trouble-free and peaceful world in the new year and next years. 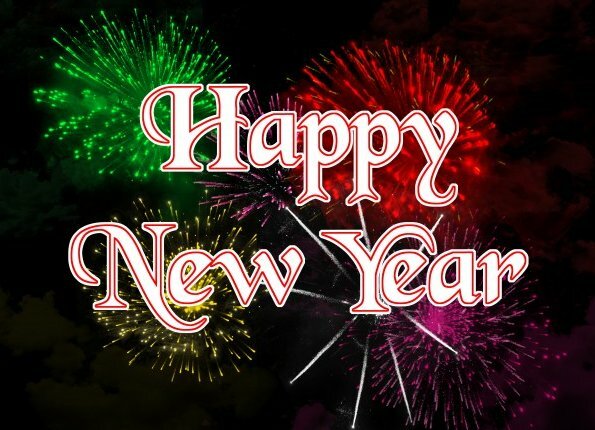 We wish that all well-intentioned expectations of our Blog's followers and everyone will come true in the new year. Happy new year to everyone! 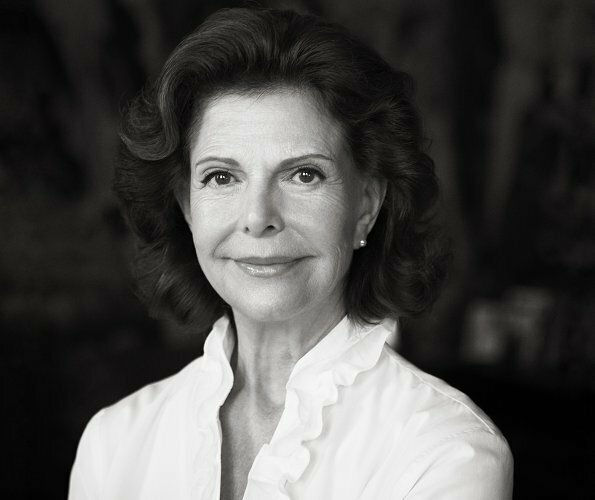 In 1999, Queen Silvia founded The World Childhood Foundation for the purpose of preventing violence against children and sexual abuse of children. In 2019, the Foundation will celebrate its 20th anniversary. 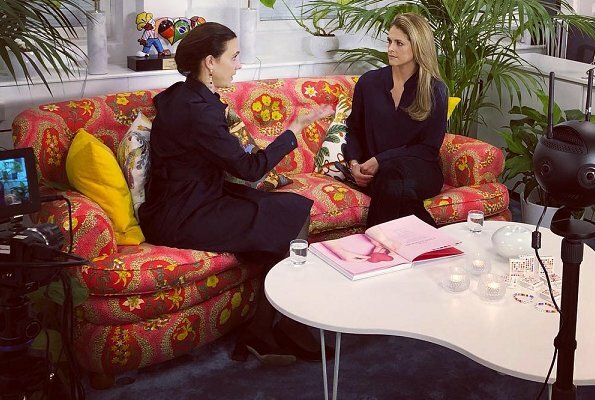 In order to make the planning of events to be held within the scope of 20th anniversary, Princess Madeleine met with Secretary General of The World Childhood Foundation, Paula Guillet de Monthoux and the conversation was filmed to be broadcasted in the future. At the same time, the conversation was about the book "För en barndom fri från våld" (For a childhood free from violence) which tells about the activities of the Foundation. The book was also given as a gift to the Queen on 18th December. The book is available now in Swedish version, and in February will also be available in English, German and Portuguese. 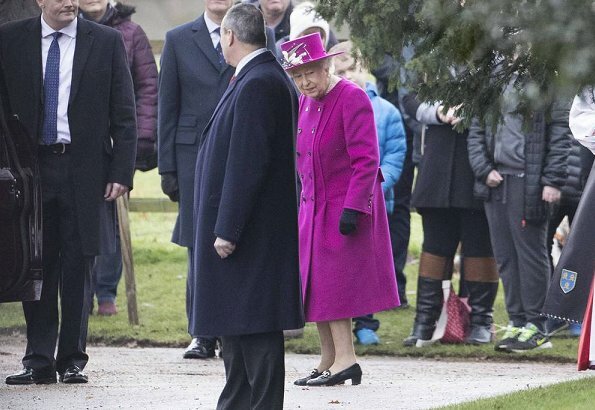 On December 30, 2018, Queen Elizabeth II, Prince Edward, Countess Sophie of Wessex, Lady Louise Windsor, Princess Anne and her husband Vice Admiral Timothy Laurence attended a morning church service at St Mary Magdalene Church in Sandringham. The Kensington Palace Twitter account for the Duke and Duchess of Cambridge and the Duke and Duchess of Sussex shared a video on Saturday, showing the royals’ favorite moments from 2018. 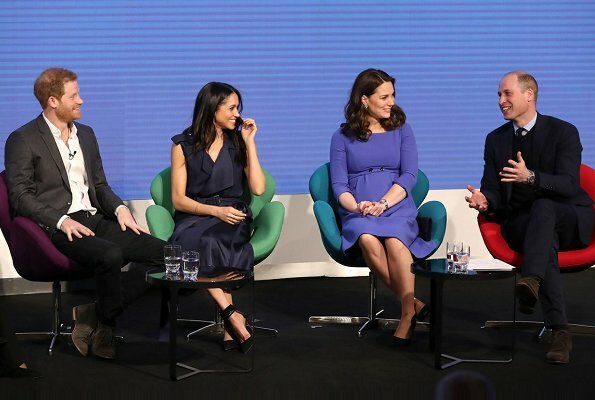 The video shows clips from royal events in 2018. Kensington Palace said: "Here are some of our favourite moments from 2018 - thank you to everyone who made this year so special. See you in 2019!" 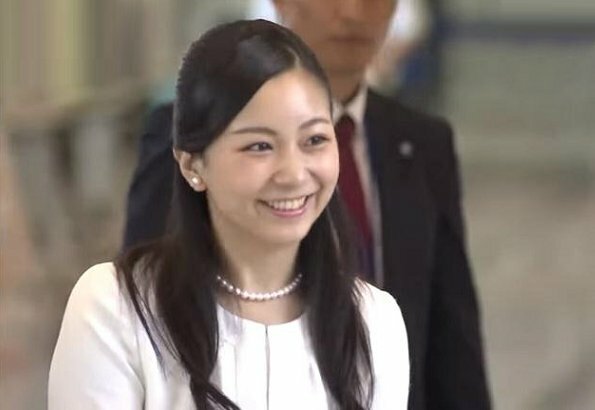 Princess Kako, a grandchild of Emperor Akihito and the younger daughter of Prince Akishino and Princess Kiko, turned 24 on Saturday. Princess Kako was born on 29 December 1994 at Imperial Household Agency Hospital in Tokyo. On December 29, Princess Kako visited Emperor Akihito and Empress Michiko for greetings on her 24th birthday. Happy birthday to you, Princess Kako. For Danish Crown Princess Mary, 2018 was a year which was full of official duties just like every year and at the same time, it was a sad year. After a long lasting disease, her father-in-law Prince Henrik passed away in 2018. Just like every year, also in 2018, the future Danish Queen, mother of four children Crown Princess Mary successfully fulfilled her official duties and she was again perfect with the outfits she preferred to wear at these duties. In order to refresh memories, some of 2018 events of Crown Princess Mary and the outfits she preferred to wear at these events. Just like every year, SVT compiled information involving 2018 events of Swedish Royal Family, their trips, official visits, slices of their daily life and interviews, and broadcasted as a documentary (Året med kungafamiljen 2018). In 2018, a new princess was born and Bernadotte dynasty celebrated 200th anniversary of its enthronement. 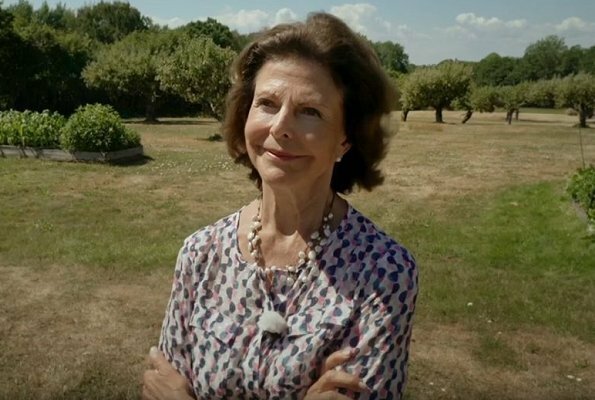 The documentary begins with an interview made in Solliden with Queen Silvia who celebrated her 75th birthday this year. (VIDEO: The Year with the Royal Family). Queen Letizia was eye-catching in 2018 with her slimness and feminine style. Queen Letizia who likes to wear same classical clothes again and again made additions to her wardrobe in 2018. Hugo Boss, Carolina Herrera, Felipe Varela and Massimo Dutti are firm fixtures in Queen Letizia’s wardrobe. Some outfits worn by Queen Letizia in 2018. On December 27, 2018, members of the Imperial family visited Emperor Akihito and Empress Michiko for end-of-year greetings and a family lunch. 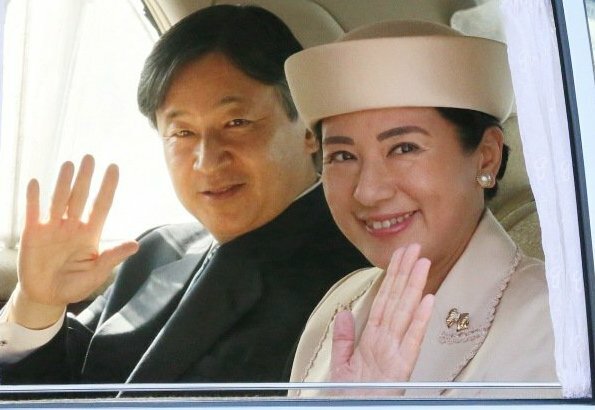 Imperial family members including, Crown Prince Naruhito, Crown Princess Masako, Prince Akishino, Princess Kiko, Princess Mako of Akishino and Princess Kako of Akishino attended the lunch. A resource who is close to the Imperial family stated that former royals and relatives are invited to the luncheon as well. 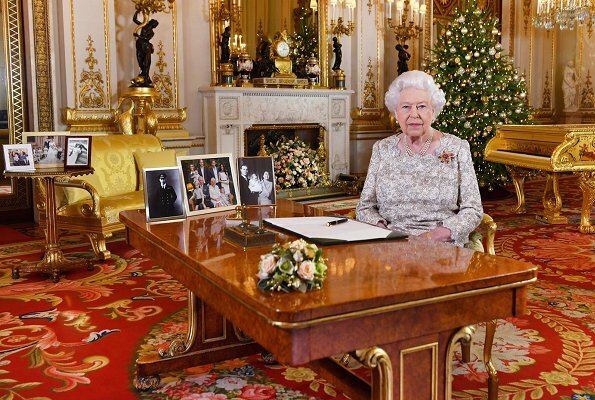 The Queen has given her traditional Christmas speech, which is always pre-recorded and broadcast in the afternoon of Christmas Day. In the speech, the British monarch reflected on the royal family's busy year, recognizing the weddings of Harry and Meghan and Eugenie and Jack, as well as the births of her two great-grandchildren, Prince Louis and Lena Tindall, and Prince Charles's 70th birthday. She also emphasised the importance of people with opposing views treating each other respectfully. 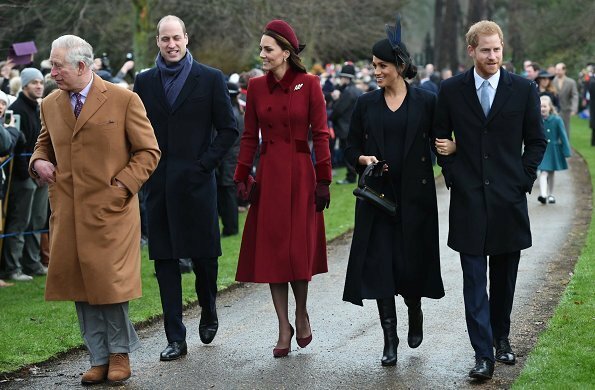 British Royal Family gathered at St Mary Magdalene Church near Sandringham for the traditional Christmas Day 2018. Queen Elizabeth II, Prince Charles, The Duke and Duchess of Cambridge, The Duke and Duchess of Sussex, Prince Edward, The Countess of Wessex, Lady Louise Windsor, James Viscount Severn, Princess Beatrice, Princess Eugenie, Zara Tindall and Autumn Phillips attended 2018 Christmas service at Sandringham Church. The Royal Family traditionally spends Christmas and New Year at Sandringham House which is The Queen's country estate in Norfolk. Norwegian Royal family gathered at Holmenkollen Chapel (Holmenkollen kapell) in Oslo on Christmas day. 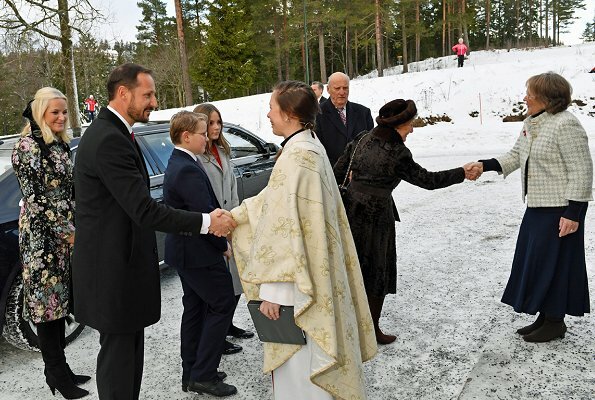 King Harald, Queen Sonja, Crown Prince Haakon, Crown Princess Mette-Marit, Princess Ingrid Alexandra and Prince Sverre Magnus attended the traditional Christmas service at Holmenkollen Chapel in Oslo. 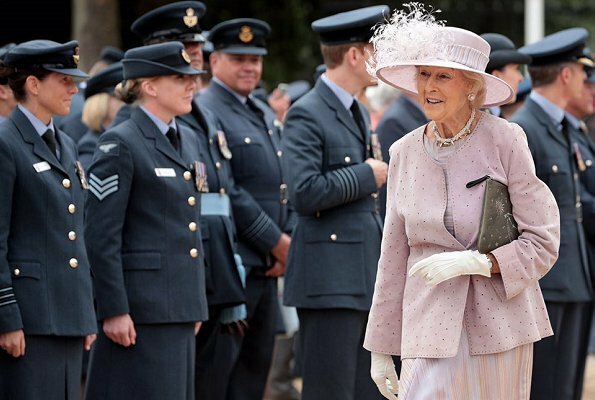 Today, Princess Alexandra celebrates her 82nd birthday. Princess Alexandra was born on Christmas Day in 1936. Princess Alexandra, The Honourable Lady Ogilvy is the Queen’s first cousin and a working member of the British Royal Family. She is patron or president of over 100 organisations which reflect her wide-ranging interests, from the arts to health care. She also supports The Queen in her duties as Head of State, attending ceremonial occasions alongside other members of the Royal Family. Happy Birthday to you, Princess Alexandra. 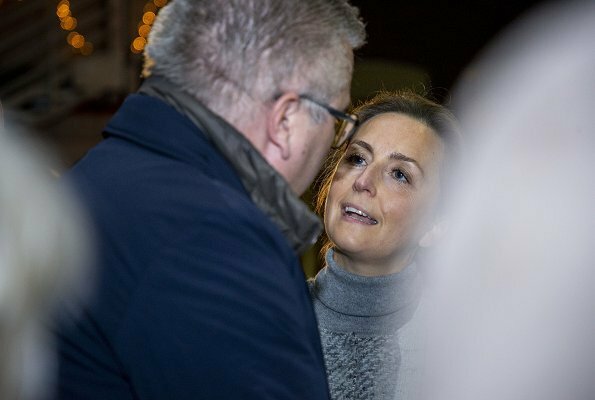 Danish Royal family gathered at Marselisborg' Palace for Christmas and yesterday afternoon, all members of the royal family came to Aarhus for the traditional Christmas service. 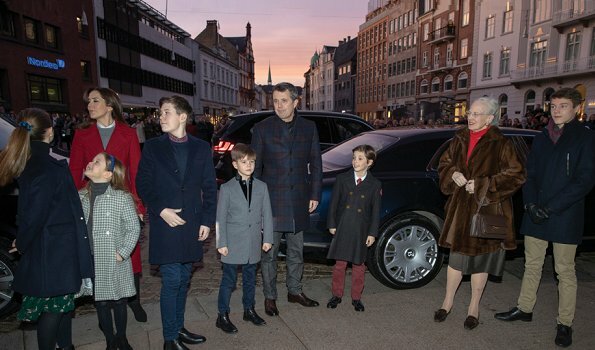 Queen Margrethe, Crown Prince Frederik, Crown Princess Mary, Prince Christian, Princess Isabella, Prince Vincent, Princess Josephine, Princess Marie, Prince Joachim, Princess Athena, Prince Henrik, Prince Nikolai and Prince Felix attended the traditional Christmas service at Aarhus Cathedral. This Christmas will be the first Christmas without Prince Henrik for Danish Royal Family. 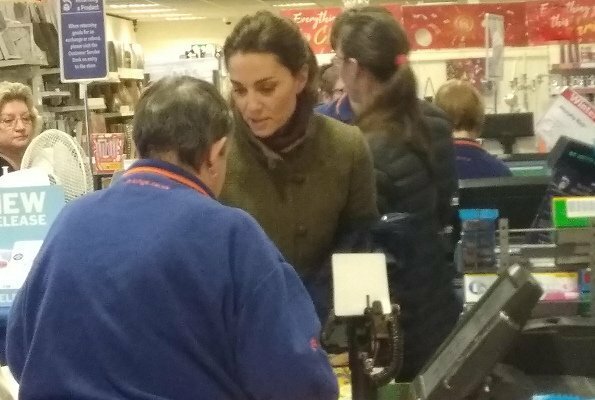 Yesterday, The Duchess of Cambridge was spotted doing shopping at The Range store in Norfolk. 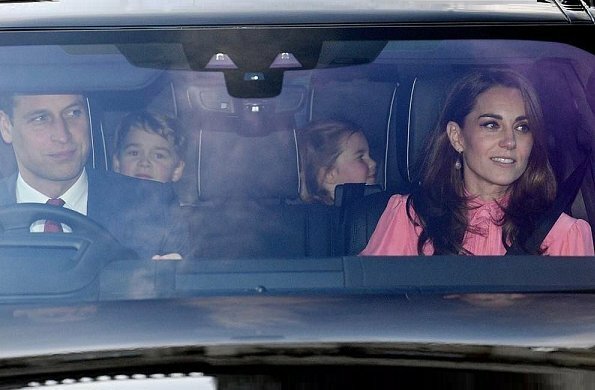 The Duchess of Cambridge brought Prince George and Princess Charlotte for a spot of shopping in Norfolk. The Range store, just a 15-minute drive from Sandringham. (The Duchess wore a tweed jacket by Dubarry). 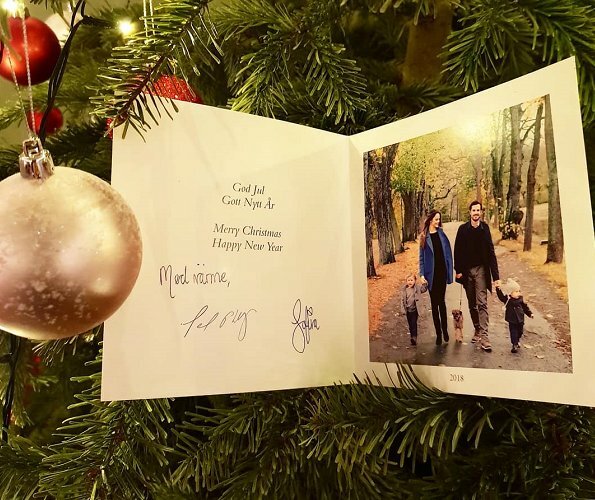 The 2018 Christmas greeting card showing together Prince Carl Philip, Princess Sofia and their sons Prince Gabriel and Prince Alexander was published. Queen Letizia, Princess Leonor and Infanta Sofia attended the 40th anniversary performance of The Spanish National Ballet, held at La Zarzuela Theatre in Madrid. 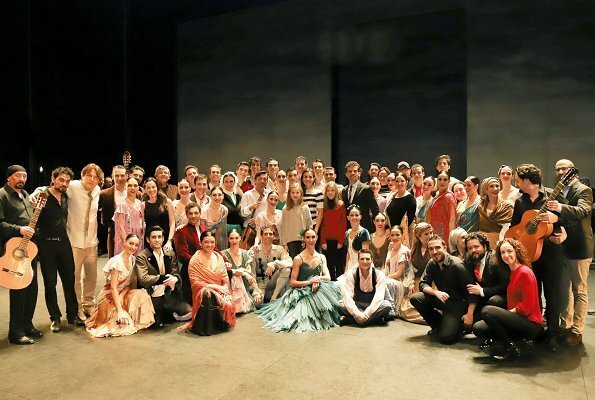 The Spanish National Ballet celebrated its 40th anniversary with a special performance where their director, Antonio Najarro, designed a program with select choreographies of the most famous creations by the leading figures of the Spanish dance. The Spanish National Ballet is a public dance company which was established in 1978 depending on the Instituto Nacional de las Artes Escénicas y de la Música (INAEM). Yesterday was Swedish Queen Silvia's 75th birthday and the Queen met with all of her children and grandchildren to celebrate her 75th birthday. 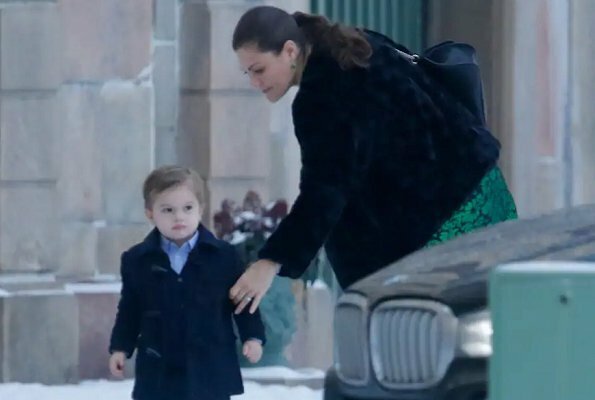 Crown Princess Victoria, Prince Daniel, Princess Estelle and Oscar, Prince Carl Philip, Princess Sofia, Alexander and Gabriel, Princess Madeleine, Christopher O'Neill, Leonore, Nicolas and Adrienne met with the Queen at the special birthday party held at Drottningholm Castle. In addition, the sister of the king, Princess Christina and her husband Tord Magnuson were also present at the birthday party. Today, Japan's Emperor Akihito celebrates his 85th birthday. On December 23, 85th birthday celebrations of Emperor Akihito continued with various events throughout the day. 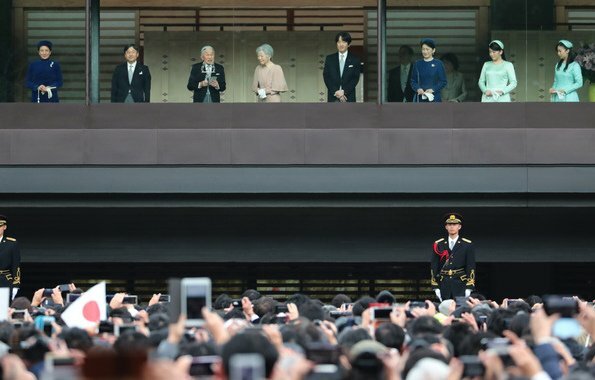 Japan's Emperor Akihito greeted the public with Empress Michiko, Crown Prince Naruhito, Crown Princess Masako, Prince Akishino, Princess Kiko, Princess Mako and Princess Kako at the Imperial Palace on his 85th birthday. A reception and a tea party were held at the Imperial Palace in the afternoon. The Imperial Household Agency released new photos on the occasion of 85th birthday of the Emperor. Queen Silvia of Sweden is celebrates her 75th birthday today. Queen Silvia (Silvia Renate Sommerlath was born in Heidelberg, Germany, on 23 December 1943) is the spouse of King Carl XVI Gustaf. The King and Queen of Sweden have three children and seven grandchildren. Swedish royal court published new photo on the occasion of 75th birthday of Queen Silvia. The Queen's birthday is a general flag day. The birthday is also an official salute day. Happy birthday to you, Queen Silvia. On December 21, 2018, Prince Laurent, Princess Claire and their children Prince Aymeric, Prince Nicolas and Princess Louise visited the 8th edition of "Plan Froid" organized by the Prince Laurent Foundation in Brussels. Plan Froid helps homeless people and their pet animals during the winter period. These shelters are large heated containers, with bathrooms, that can accommodate roughly sixteen people at a time. 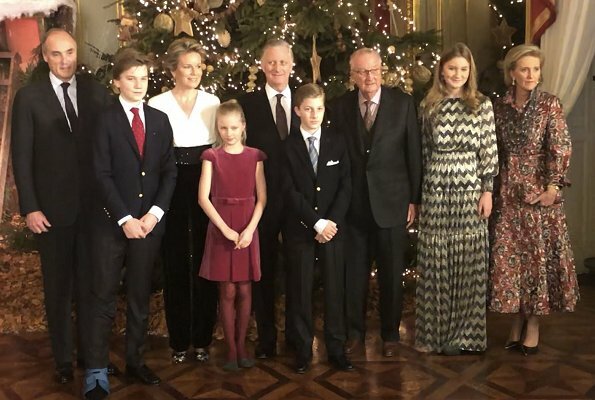 On December 21, Belgian Royal Family greeted everyone for Christmas with a new family photo showing members of the family together with the message "Merry Christmas and Happy New Year". 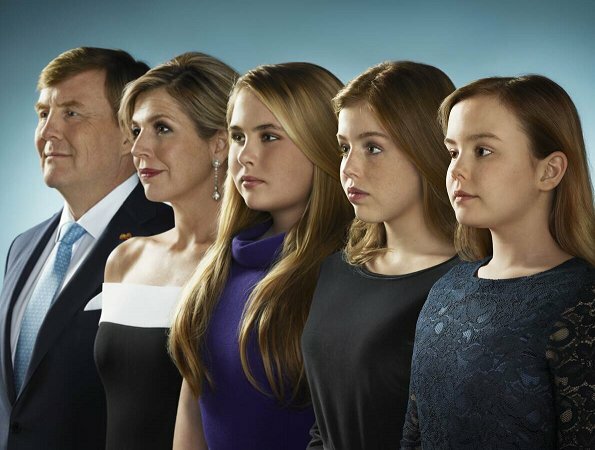 In addition, Belgian Royal Court released a new photo on their official website, showing four siblings together, that is Crown Princess Elisabeth, Prince Gabriel, Prince Emmanuel and Princess Eleonore. On December 21, 2018, The Dutch Royal Family released their a Christmas photo with the message "Merry Christmas and a Healthy and prosperous new year" (Een gezegende kerst en een gezond en voorspoedig 2019 – WA en Máxima). The photo was taken by Erwin Olaf at Amsterdam Royal Palace in March. 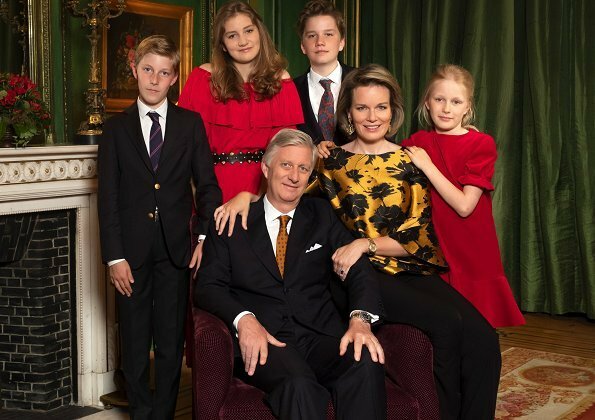 On December 21, 2018, Danish Crown Prince Family published their new family photos and video with the title "Merry Christmas!" and congratulated everybody's Christmas. The photos showing together Crown Prince Frederik, Crown Princess Mary and their children Prince Christian, Princess Isabella, Prince Vincent and Princess Josephine were taken at Frederik VIII's Palace, Amalienborg. 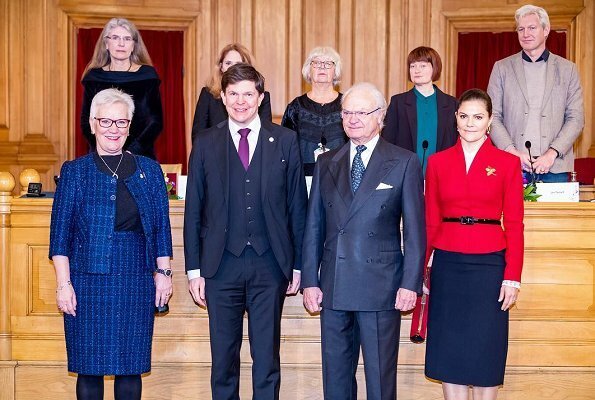 On December 20, 2018, King Carl Gustaf, Queen Silvia, Crown Princess Victoria and Prince Daniel attended the 2018 traditional official meeting of Swedish Academy held at Stock Exchange Building in Stockholm. Swedish Academy celebrates December 20 every year with a meeting at 17:00 hours on December 20 of that year, which is the anniversary of its establishment. The Swedish Academy was founded in 1786 by King Gustaf III, with the task of promoting the Swedish language and Swedish literature. On December 20, 2018, King Jigme Khesar Namgyel Wangchuck offered prayers at the Shivalaya Mandir in Samtse. A prayer ceremony was held at the Mandir leading up to the National Day Celebrations, for the successful conclusion of events, and for the well-being of the country and people. 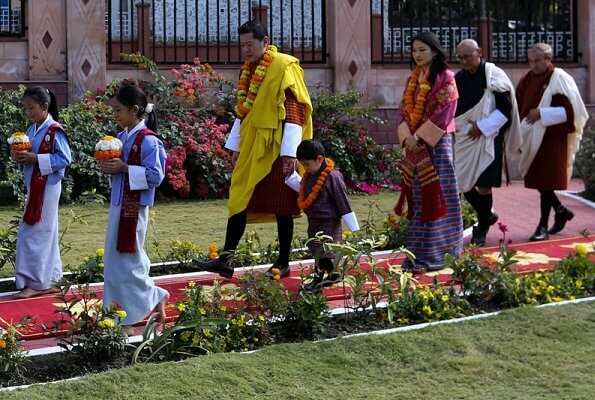 His Majesty was accompanied by Queen Jetsun Pema and Crown Prince Jigme Namgyel Wangchuck. The Shivalaya Mandir, a Hindu temple gifted by His Majesty The King to the people of Samtse was inaugurated on 6 February coinciding with the birth of The Gyalsey (Crown Prince Jigme Namgyel Wangchuck). Yesterday, on December 19, 2018, Queen Elizabeth II hosted Christmas Lunch at Buckingham Palace for royal family members. Prince Philip, Prince Charles, Prince William, The Duchess Catherine and their children Princess Charlotte and Prince George, The Duke and Duchess of Sussex, Prince Edward, The Countess of Wessex, Lady Louise Windsor, Princess Anne, Princess Beatrice, Duchess of Gloucester, Prince Richard, Princess Alexandra, Zara Tindall, Autumn Phillips, Prince Michael of Kent and Princess Michael of Kent attended the Queen's Christmas lunch at Buckingham Palace. On December 19, Wednesday, a reception was held at Stockholm Royal Palace on the occasion of Queen Silvia's 75th birthday. The birthday reception took place in Princess Sibylla's Apartment. Representatives of the parliament and government, officials of Stockholm and Ekerö municipalities, governors of Sweden and representatives of various foundations and organizations attended the reception. The guests of the reception congratulated the Queen and presented their gifts to the Queen. On December 19, 2018, King Filippe, Queen Mathilde, Crown Princess Elisabeth, Prince Gabriel, Prince Emmanuel, Princess Eleonore, King Albert, Prince Lorenz and Princess Astrid attended the traditional Christmas Concert at the Royal Palace in Brussels. The King and Queen organise this concert each year around Christmas to thank their staff everyone who was involved in coordinating their activities throughout the year. On December 19, 2018, Queen Letizia of Spain presided over the 5th National Fashion Industry Awards ceremony held at the Costume Museum (Museo del Traje) in Madrid. The purpose of these awards is acknowledging the merits of persons, organizations, companies and industry sectors that stand out for their creativity, their adaptation to the market, their capacity for innovation, their internationalization, their support from the social media and from the fields of education and culture. As they do every year before Christmas, Swedish Crown Princess Family published their new family photos with the title "Merry Christmas and a Happy New Year" and congratulated everybody's Christmas. 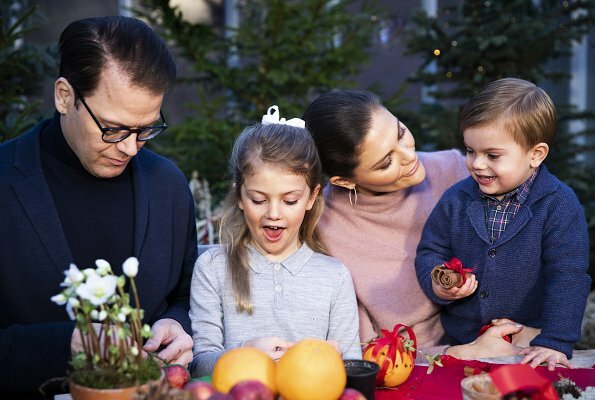 The photos showing together Crown Princess Victoria, Prince Daniel and their children Princess Estelle and Prince Oscar were taken by photographer Tiina Björkbacka at Haga Castle. On December 18, 2018, King Philippe and Queen Mathilde of Belgium made a Christmas visit to the Biloba House which is a living space for old people in Schaerbeek. The BILOBA House is a meeting point and living space dedicated to old people in Brabant district of Schaarbeek, which is located near Brussels. On December 18, 2018, Princess Alexandra attended a Christmas Carol concert at St Paul's Cathedral in London, held in honour of the 40th Anniversary of Alzheimer's Society. Before the concert, Princess Alexandra met with actress and Alzheimer's Society Ambassador Carey Mulligan. 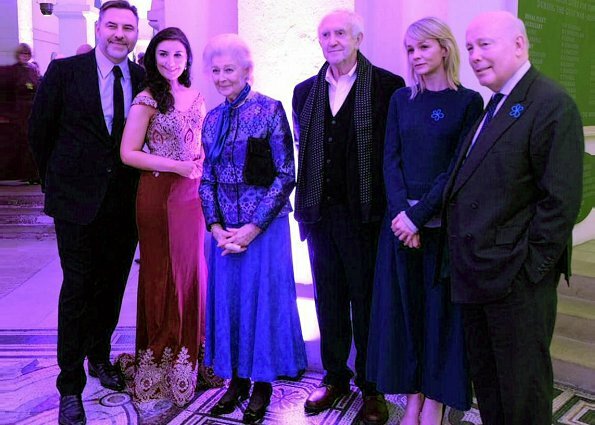 Princess Alexandra also met with actor and writer David Walliams. In one of David's boks, he writes about the tale of a grandpa affected by dementia and his adventures with his grandson Jack. 2019 New Year Card of Jordanian Royal Family was published. 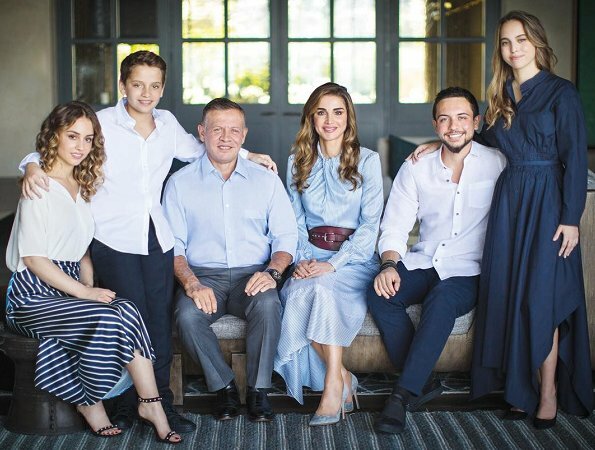 In addition, Jordanian Royal Family shared their new family photo which is on the new year card on their official social media accounts with the message "May we greet the New Year with gratitude for all our blessings and hope for a better tomorrow". 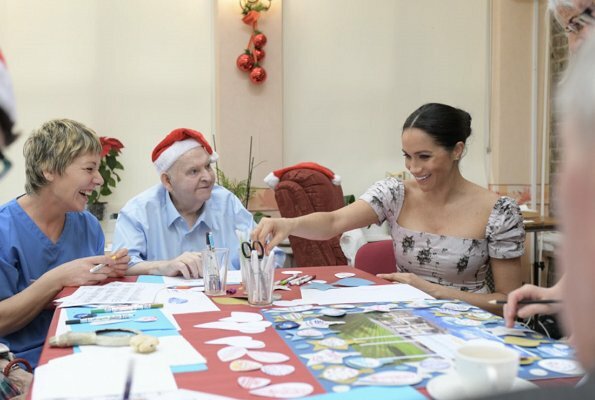 On December 18, 2018, The Duchess of Sussex visited the Royal Variety residential nursing and care home Brinsworth House in Twickenham. The Royal Variety Charity, of which The Queen is Patron, assists those who have worked professionally in the entertainment industry and are in need of help and assistance as a result of old age, ill-health, or hard times. Established in 1850, the residential home accommodates up to 36 residents who are cared for by a dedicated team of nurses and care assistants. On December 18, 2018, Princess Marie of Denmark visited FødevareBanken's (Danish Food Bank) Breakfast Cafeteria in Gildbro School in Ishøj. The cafeteria provides free of charge breakfast everyday for students who haven't eat anything before coming to school. Gildbroskolen is a primary school having about 480 students, and most of the students are refugee children. Food Bank (FødevareBanken) has 24 cafeterias in Denmark, which provide breakfast for students. Danish Food Bank is a nonprofit organisation fighting food waste and food poverty in Denmark. 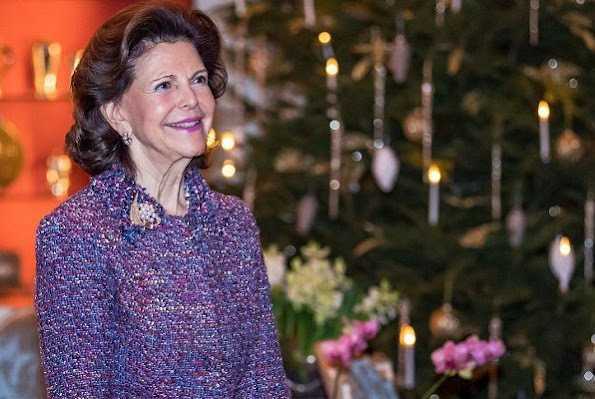 On December 23, Sunday, Queen Silvia of Sweden will celebrate her 75th birthday. On the occasion of Queen Silvia's 75th birthday, many events are being held. On December 18, Tuesday, Queen Silvia held a seminar at Oscar Theater (Oscarsteatern) in Stockholm for her Foundations' executives, representatives of other charity organizations operating in fields like children rights, prevention of drug use and Dementia and other guests invited. 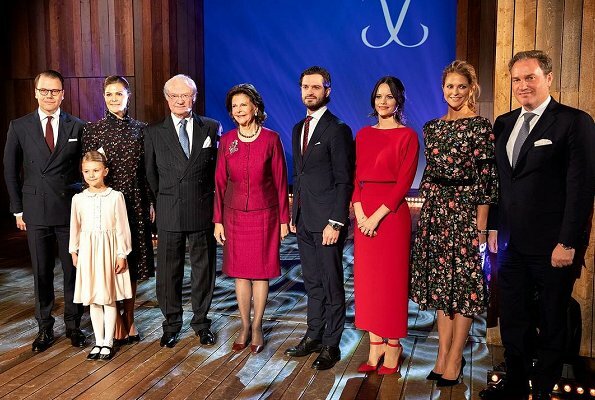 King Carl XVI Gustaf, Crown Princess Victoria, Prince Daniel, Princess Estelle, Prince Carl Philip, Princess Sofia, Princess Madeleine and Christopher O'Neill were present at the seminar. 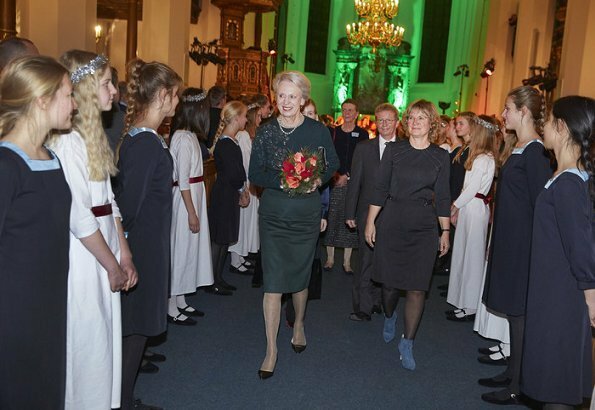 On December 16, 2018, Sunday, Princess Benedikte of Denmark attended Copenhagen Girls' Choir's (Sankt Annæ Pigekor) Christmas concert at Church of the Holy Spirit in Copenhagen. There was also a Santa Lucia parade in connection with the concert. Princess Benedikte is the patron of Copenhagen Girls' Choir consisting of 140 students of Saint Anne High School (Sankt Annæ Gymnasium). 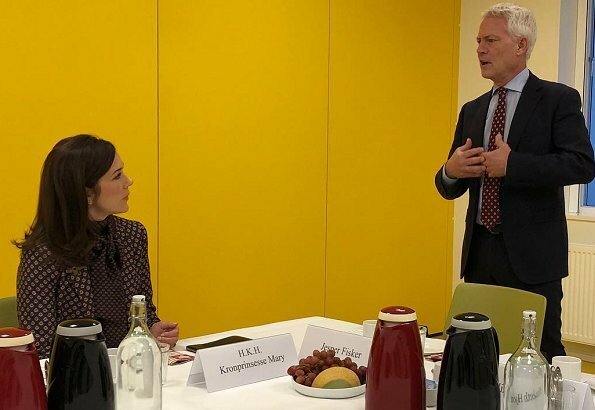 Yesterday, on December 17, 2018, Crown Princess Mary of Denmark visited The Danish Cancer Society (Kræftens Bekæmpelse) in order to get information about ongoing activites and efforts, and attended a meeting with Managing Director of the Danish Cancer Society, Jesper Fisker. 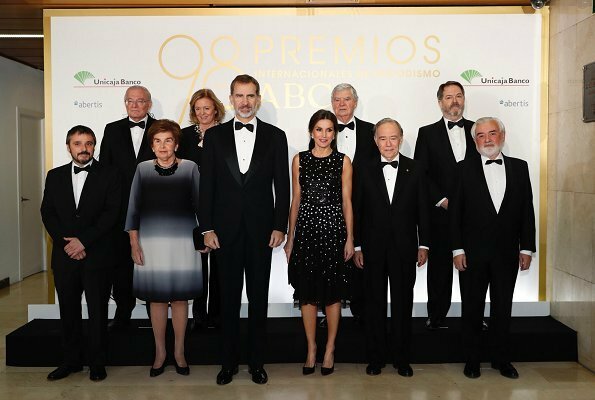 On December 17, 2018, King Felipe VI and Queen Letizia of Spain attended an official dinner held in honour of 'Mariano de Cavia', 'Mingote' and 'Luca de Tena' awards' winners at Casa de ABC in Madrid. At the journalism awards held by ABC every year, ABC gave Mingote award to León's photo journalist Jesús Fdez Salvadores, Mariano de Cavia award to author Gregorio Marañón y Bertrán de Lis, and Luca de Tena award to Heraldo de Aragón's editor-in-chief Pilar de Yarza Mompeón this year. 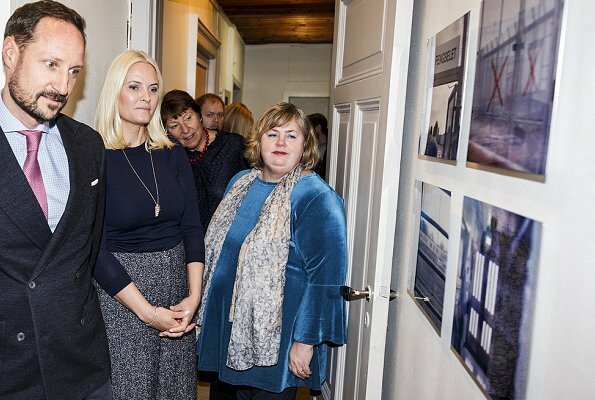 On December 17, 2018, Crown Prince Haakon and Crown Princess Mette-Marit of Norway visited The Organisation for Families and Friends of Prisoners (FFP) at Nordahl Bruns in Oslo and met with families of prisoners. The Organisation for Families and Friends of Prisoners works for the relatives and friends of prisoners in Norway. FFP organizes many social and cultural events for children and young people, as well as for adults who have a family member in prison. The organisation has interpreters for many languages. FFP’s services are free of charge. On December 17, 1918, Riksdag (The Swedish Parliament) took a resolution which adopted universal and equal suffrage in local elections, and Swedish women gained the right to vote and be elected in local elections. 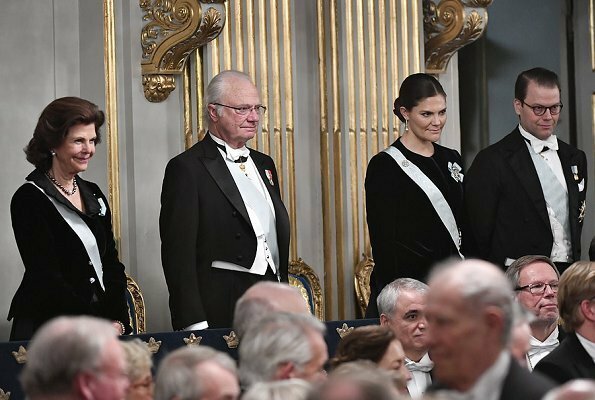 On the occasion of the 100th anniversary of gaining that right, a seminar was held in the Riksdag, and King Carl XVI Gustaf and Crown Princess Victoria attended the seminar at Riksdag on December 17, 2018. 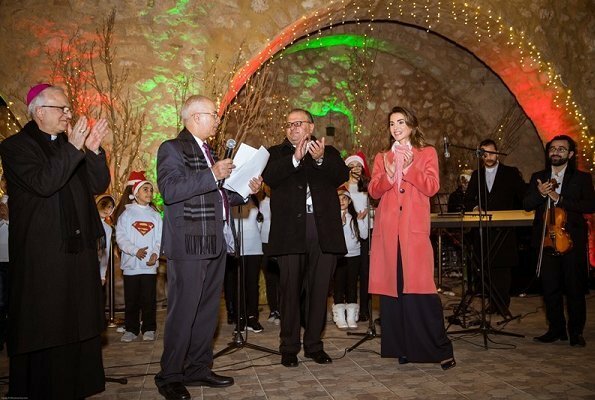 On December 16, 2018, Queen Rania of Jordan took part in Christmas tree lighting ceremony at Qanater Ampitheatre in Fuheis city near Amman. The Christmas celebrations is organized by the Municipality of Fuheis in cooperation with the Fuheis Youth Club and other civil society organizations. As part of the Christmas celebrations, Christmas carols were performed by children and a holiday bazaar was set up. At the bazaar, the Queen viewed various Christmas decorations and food items on offer. Fuheis is situated in the centre of Jordan to the north west of the capital Amman. It is a small, expanding town with a mainly Christian population. 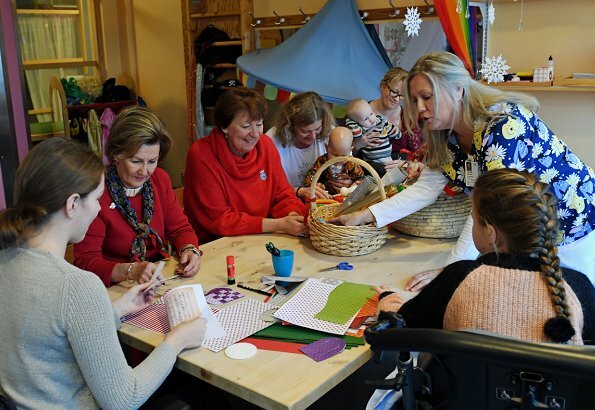 On December 16, 2018, Crown Princess Mette-Marit of Norway visited "Our Neighbourhood" (Vårt Nabolag) event held at Dikemark Asylum Centre in Asker, Oslo. Vårt Nabolag is the common name of various festivals held for refugees in Norway. The festival has a rich programme beginning with various events and demonstrations for children and adults. The festival is held for the purpose of strengthening the bonds between refugees and neighbourhood residents. The Bulgarian President Rumen Radev and his wife Desislava Radeva came to Jordan for a three day official visit upon the invitation of the King of Jordan. On December 16, 2018, King Abdullah II of Jordan and Queen Rania of Jordan welcomed President Rumen Radev and First Lady Desislava Radeva with an official ceremony at Amman Al Husseiniya Palace. 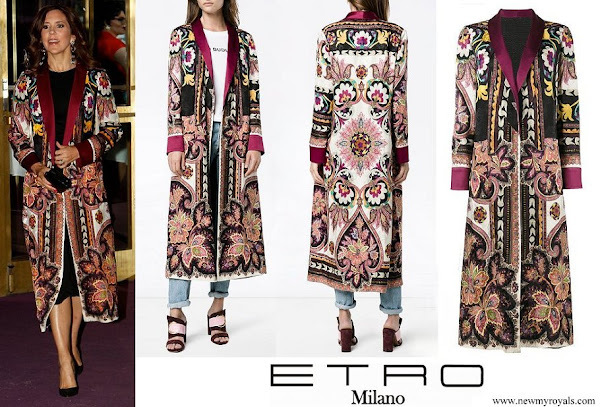 (The Queen wore a wool-blend trench coat by Gabriela Hearst). 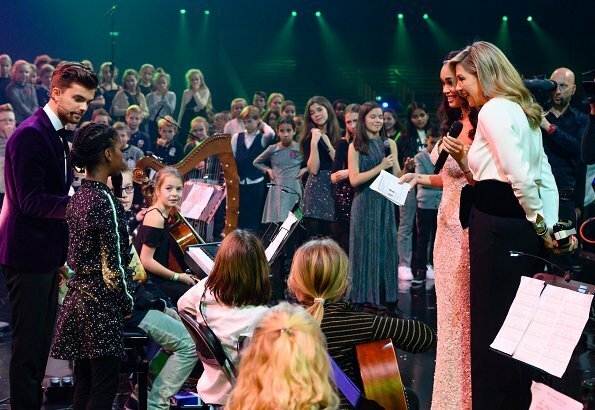 On December 16, 2018, Crown Princess Mary attended DR Pigekorets's (Danish National Girls Choir) 2018 Christmas Concert held at DR Koncerthuset. 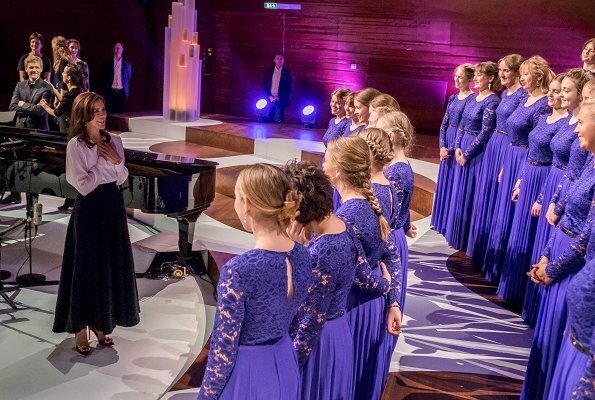 The Crown Princess then attended the 80th anniversary reception of Danish National Girls Choir. Crown Princess Mary is the patron of DR Pigekorets consisting of 50 girls between the ages of 15 and 22, which is conducted by conductor Philip Faber. DR Pigekorets was established in 1938 as part of Danish Broadcasting Corporation (DR), and this year, it celebrates the 80th anniversary of its establishment. The choir gives more than 60 concerts each year and most of these concerts take place in Denmark.